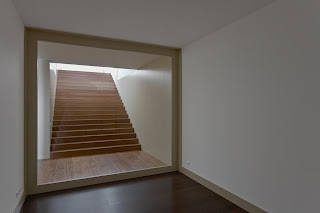 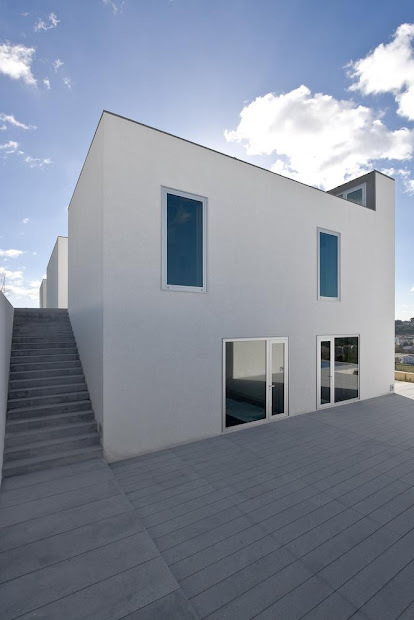 This is a two levels house that occupies an unleveled terrain, bringing just one level to the street front side. 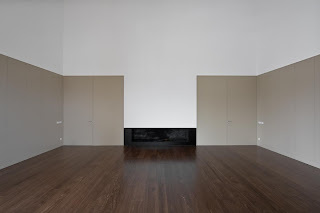 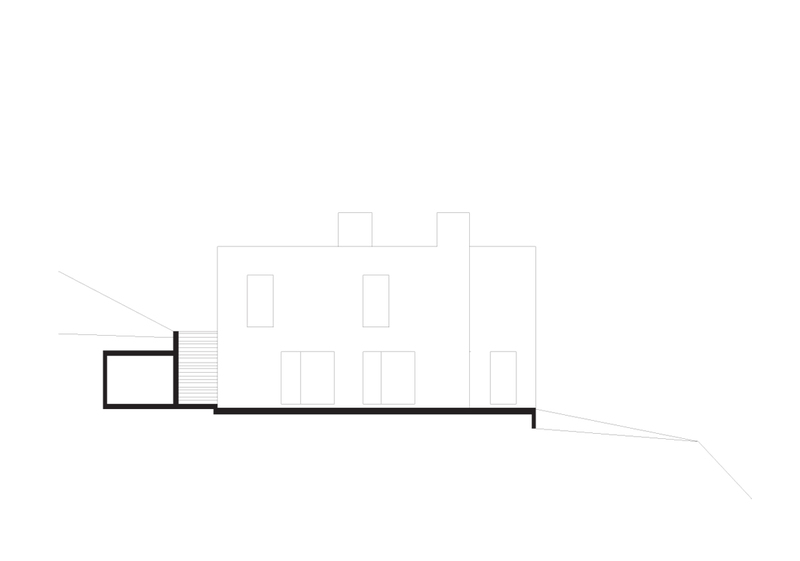 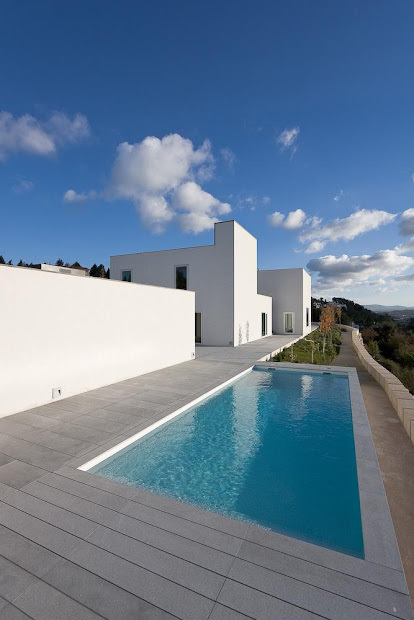 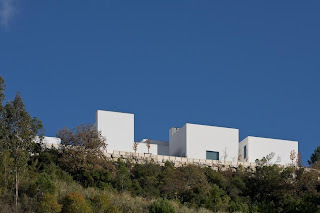 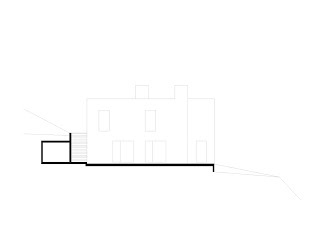 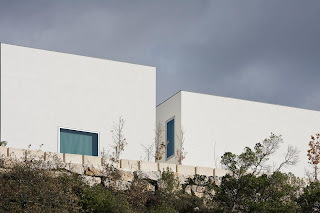 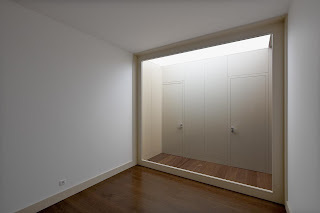 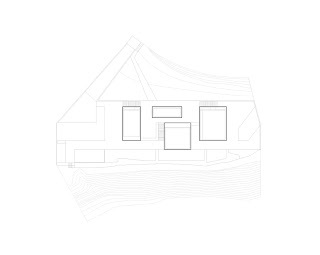 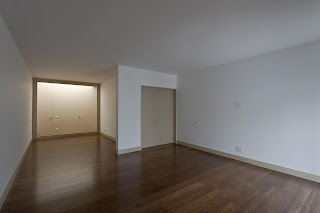 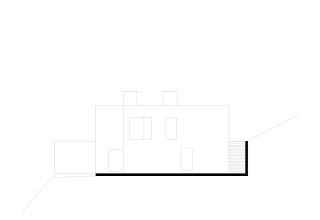 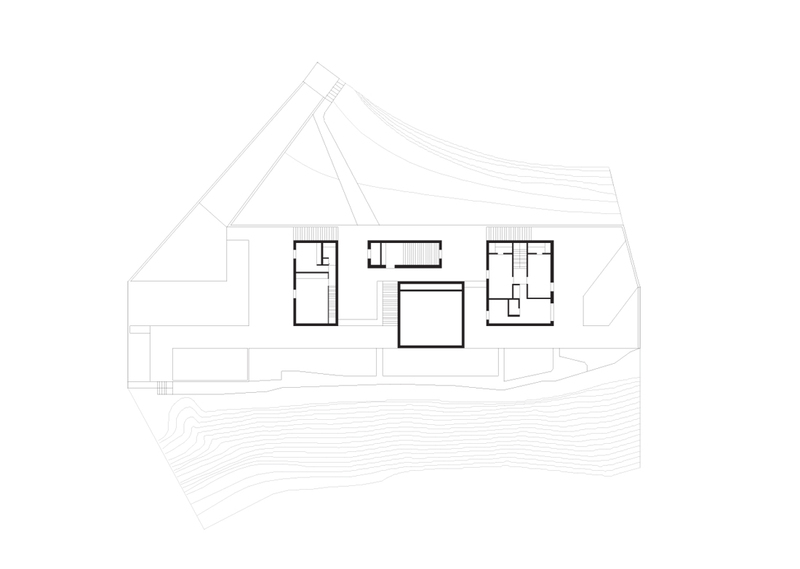 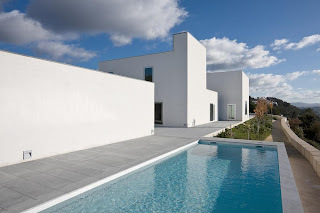 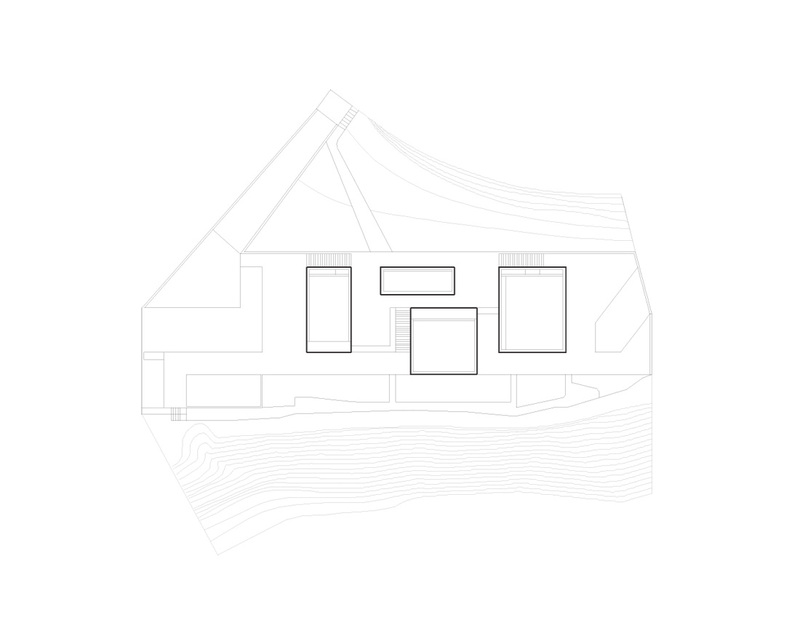 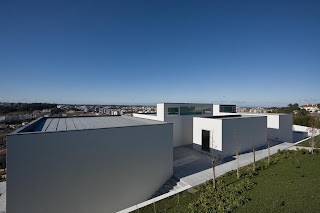 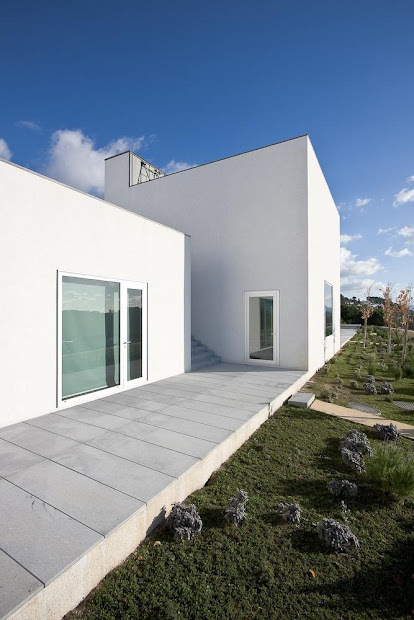 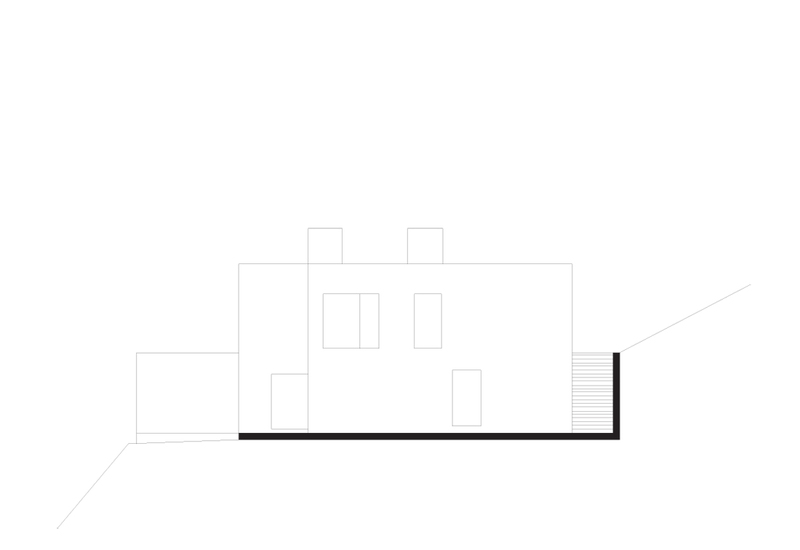 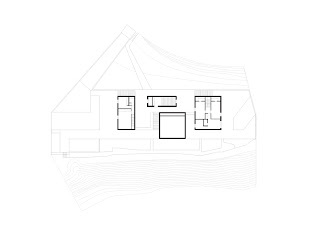 The house occupies a longitudinal band centered in the plot that defines to main gardens – one at the entrance and plain; the other one, near the scarp and facing the city. 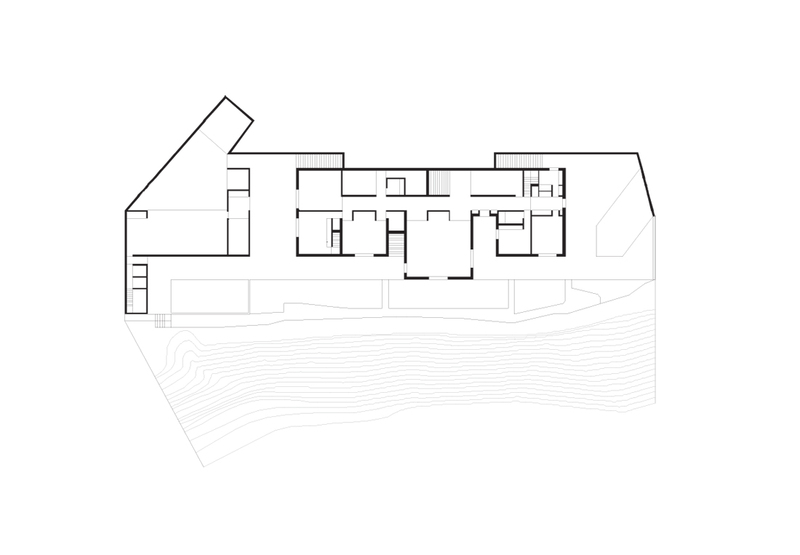 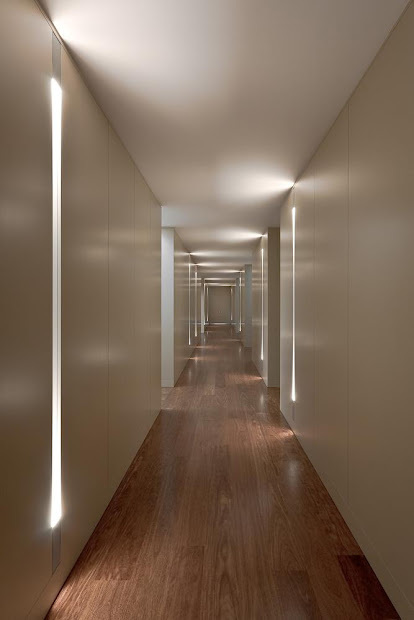 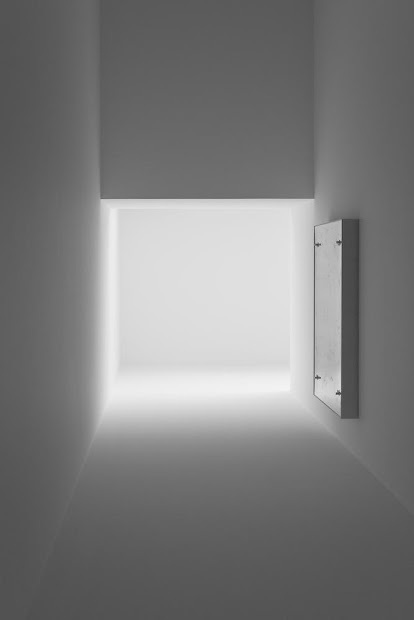 When arriving, only four volumes appear, welded together with a full straight lower level. 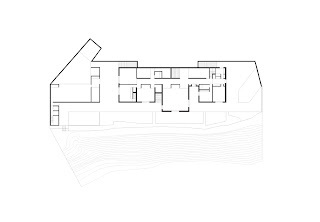 This operation allows us to diminish the impact of the 815 sqm construction area, and contributes to the organization of the house program. 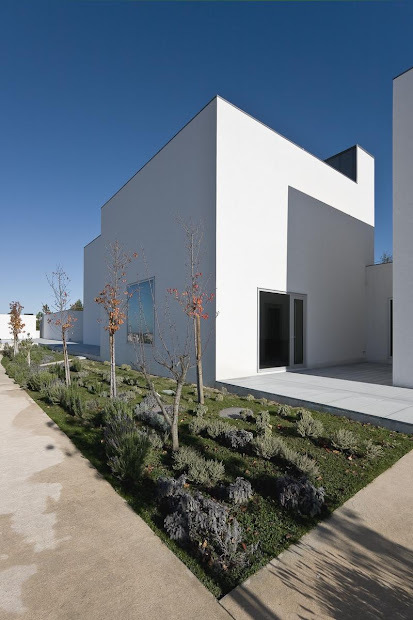 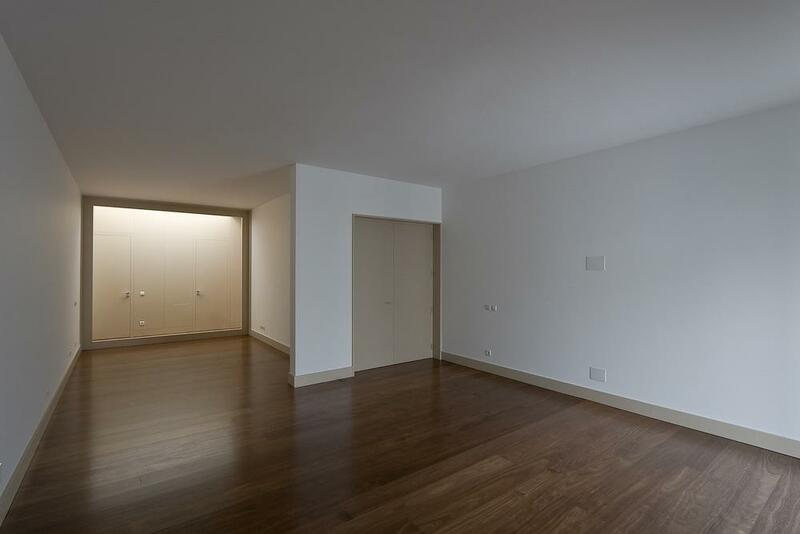 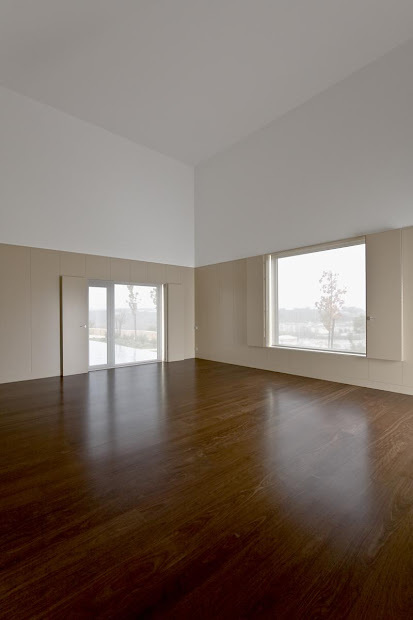 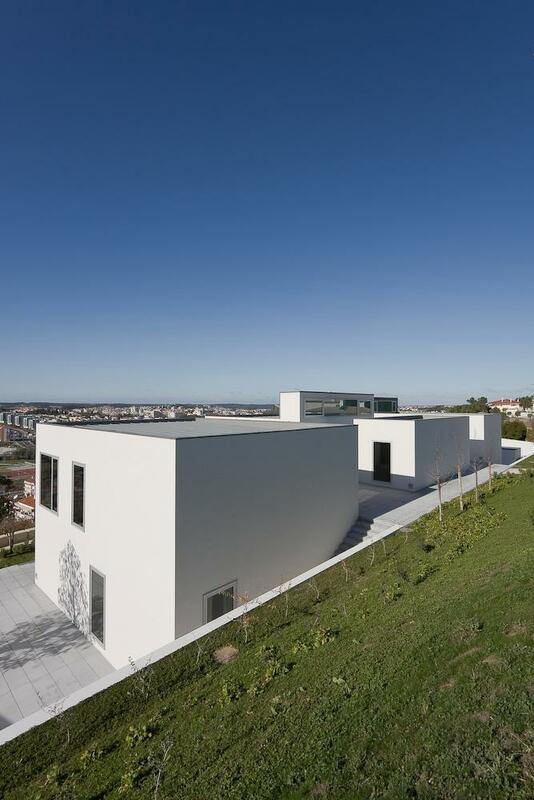 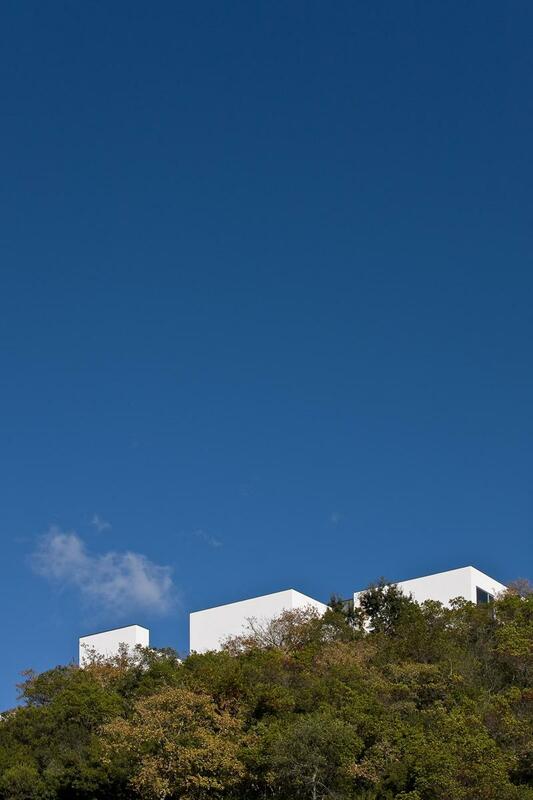 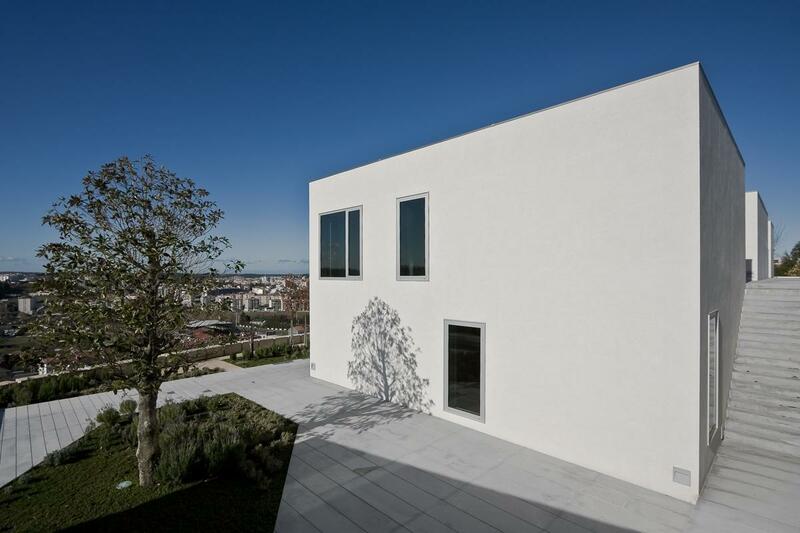 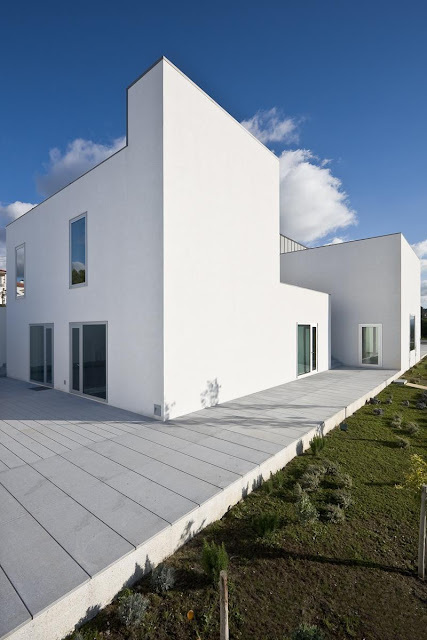 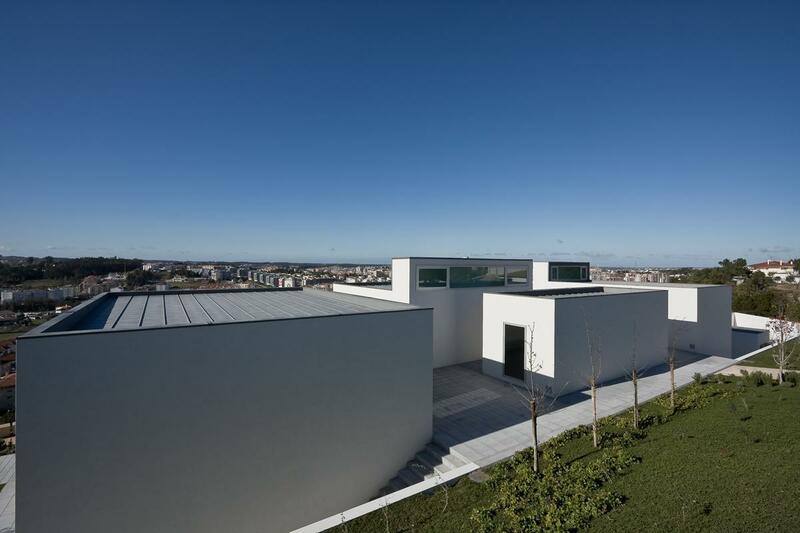 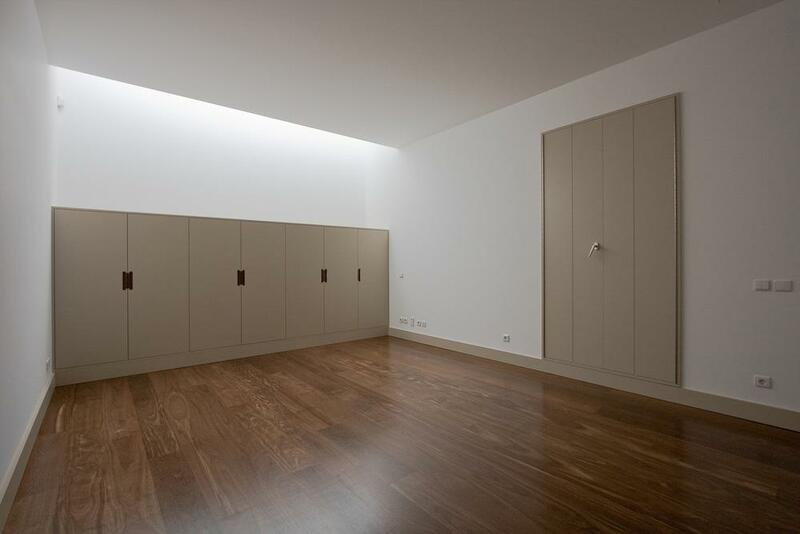 The four volumes also define several outside spaces that enhances the house living.